The teleco is reportedly setting up two earth stations in Mumbai and Nagpur, and will set up two mini hubs in Leh and Port Blair for the latest satellite backhaul-based services that will provide connectivity in areas like the North East, Jammu and Kashmir Uttaranchal, Andaman Nicobar, and Lakshadweep. Satellite technology has been used across the world for cellular backhaul for decades now. In India, Reliance Jio is reportedly planning to tap this technology to expand its 4G reach. According to The Economic Times, the Mukesh Ambani-led telco is deploying a first-of-its kind satellite backhaul-based network, using capacity from Indian Space Research Organisation (ISRO), to take its 4G LTE-based voice and data services to India's hinterlands. To this end, Jio has awarded a contract worth over $10 million to Hughes Communications India Ltd (HCIL), India's largest satellite service operator, offering broadband services under the Hughes brand. The network is under different phases of deployment but Jio has already connected more than 400 LTE sites that were beyond the reach of terrestrial backhaul services. "The satellite system is key to enabling our vision of providing ubiquitous and seamless connectivity to each and every part of the country," Jio group president Jyotindra Thacker told the daily, adding that the company is using Hughes' Jupiter system to support its 4G sites. According to Partho Banerjee, president, HCIL, satellite is the ideal technology for extending 4G/LTE service to remote and rural communities. In India, most telcos, Jio included, largely use microwave to connect towers since laying fibre poses challenges like high deployment costs and right of way (RoW) issues. However, using microwave in the hinterlands, especially hilly areas or islands, creates its own set of problems on account of terrain restrictions as well as the huge investments involved. This is where a satellite-based network can fit in. Of course, Jio is not the first mover in this space. Citing industry watchers, the daily reported that telecom players such as Bharat Sanchar Nigam Ltd (BSNL), Vodafone Idea and Bharti Airtel have been deploying satellite backhaul solutions to some extent, albeit for 2G and 3G services. In fact, BSNL has the most satellite backhauling today for these two networks. "On 4G, though, Jio is the innovator by far on satellite backhauling," Shivaji Chatterjee, SVP & Head - Enterprise Business, HCIL told the daily. "They have taken a bulk capacity of two satellites of ISRO, and have taken our satellite technology which is meant for 4G services. Jio wanted a captive network of its own, and is the first in the industry to do this." He added that the telco's focus is not just on hilly and island areas, but also on remote areas in the mainland, such as in Maharashtra, Orissa, Chhattisgarh, Karnataka and Himachal Pradesh. While analysts say that satellite can't match microwave or fibre, it nonetheless provides more than enough capacity to offer bandwidth - each site can provide speeds between 10 Mbps and 30 Mbps. 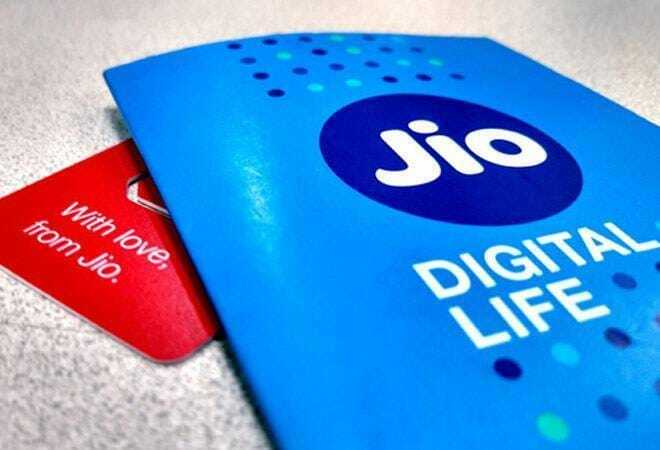 Chatterjee added that the satellite platform being used by Jio offers certain kind of compression and acceleration natively for LTE traffic, which provides 50% advantage in terms of bandwidth. Besides, in recent years, the cost of deploying a satellite network has plummeted significantly as the cost of hardware has decreased. Expect it to become increasingly mainstream as the country moves towards 5G.